Hi everyone! 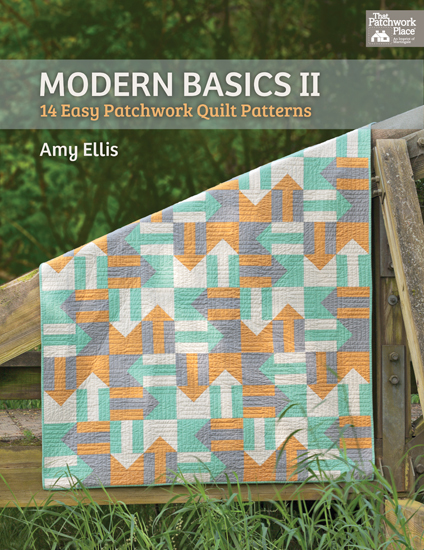 I’m happy to be a part of the blog tour for Amy Ellis’s new book, Modern Basics II. Amy and I have been friends for a few years—I love her quilts and I know she works really hard on her books and other creative endeavors. 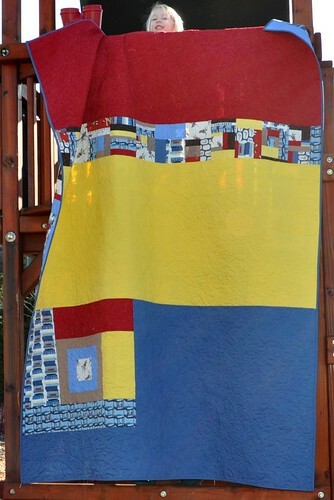 Amy blogs at Amy’s Creative Side and she is probably best known for the twice-yearly Blogger’s Quilt Festival that she hosts at her blog, along with her first book, Modern Basics. Modern Basics II is a wonderful follow-up to her first book, and includes patterns for 14 beautiful quilts. 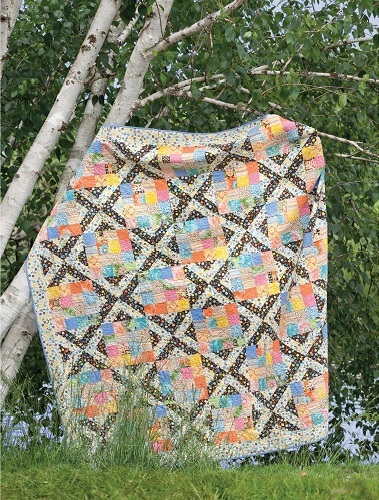 This quilt is called Confetti Crossings. I love this quilt with the warm spring-y fabrics alternating with bold "X" blocks. Confetti Crossings is made with two different blocks, a 16-patch and a graphic “X” block made from half square triangles. 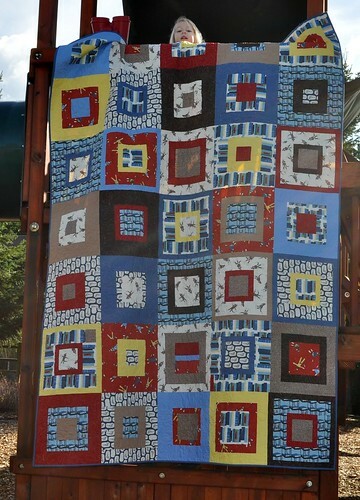 Amy has included instructions for making this quilt in two sizes so you can make a large bed size quilt (93” x 93”) or, if you prefer, a throw quilt (56” x 68”). 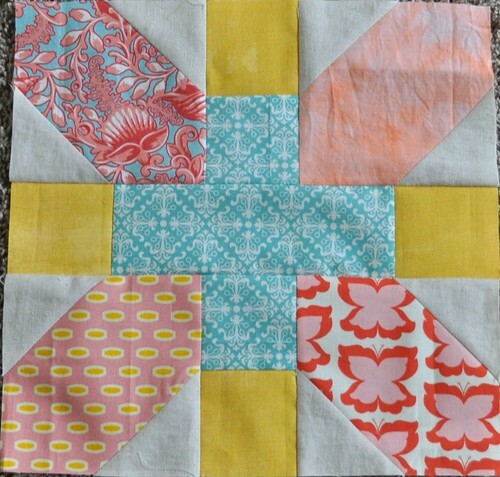 I think this quilt would look great with a few varying blacks and whites for the X blocks and then total scrappiness for the 16 patches. Or—you could flip the color scheme and make black and white checkerboards for the 16 patches and then use different bright colors with white for the X blocks. 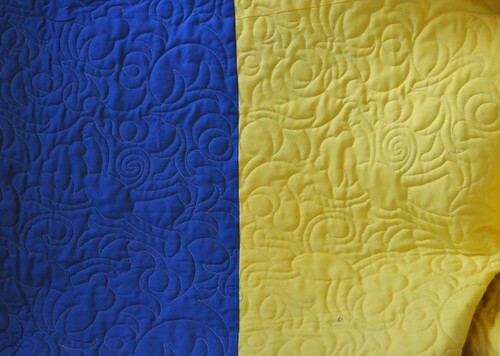 Amy’s asked us to share about a favorite quilting tip or tool. One of my favorite/essential quilting tools is the Kwik Klip. I always pin baste my quilts, and I use my Kwik Klip to close the pins. (You just hold the safety part of the safety pin with one hand and use the Kwik Klip in your other hand to push the pointy end of the pin into the safety cap.) It’s fast and easy and saves my fingertips from getting poked and scraped by all those safety pins. 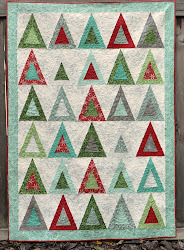 You can visit all the blog tour links below, starting today, to learn more about the quilts in Modern Basics II. Then visit this link and complete the form to enter to win an electronic copy of Modern Basics II. There will be 15 winners, and Amy will contact them on March 4. Good luck! I've been working on several different projects at once. Honestly, it's making me a little crazy. So I'm going to focus on finishing some things that are almost done... I have one quilt ready to bind and another that is partially quilted, and once those are done I think I'll feel ok about starting an Easter dress for my girl. 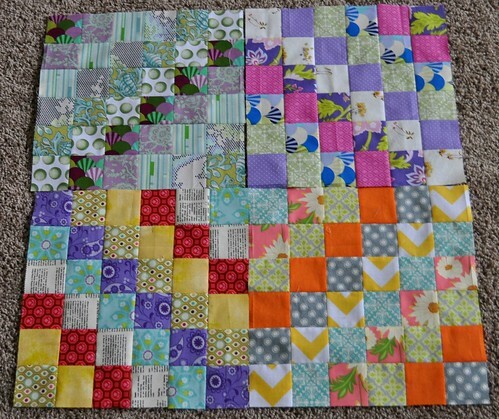 These blocks were made with Amy/badskirt's tutorial but using different measurements to create a 12.5" finished block. My 12-year-old gave me the colors for the top block and the second block is colors my daughter chose. These blocks are very easy to make but the linen blend I used for the "triangle bits" is fiddly, stretchy, and complicates it a little bit. So far I'm just planning out each block as I go. The instructions for making this are here; you should give it a try! The quilting is pretty much invisible. 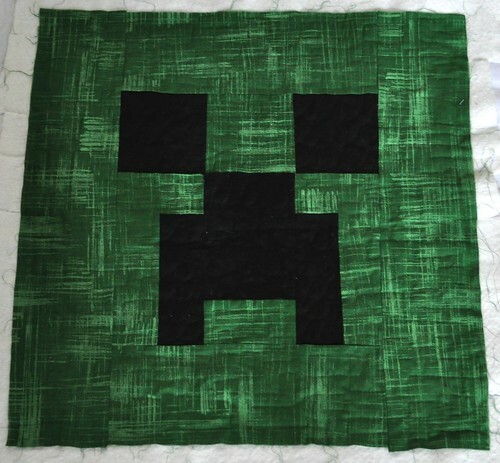 He wanted me to use green thread on the black parts and black thread on the green, but we had a miscommunication on that so it didn't turn out quite how he wanted. I quilted a squared-off meander with a few square loops in the green, and cursive letter S's in the black. Apparently that's what this creature says. Now that the quilting is done I'll help my boy make the pieces for the pillow back and put it together. I have some quilting and binding ahead of me and then I'll have a couple finished quilts to share. Have a good weekend! I'm happy to share another finished quilt! I finished the top a while back, and sent it to Natalia for quilting a few weeks ago. After it came back, it took me a little while to get the binding complete, as I was working on finishing up my king size quilt. It's too big to get a good photo on the backyard fence (it's about 65" x 90"), so my girl and I went to the playground down the street to take photos. I didn't take clips or anything, she's holding it up by herself in these pictures and I was hurrying fast to get the photos. Isn't it cute? Can you see the bananas? 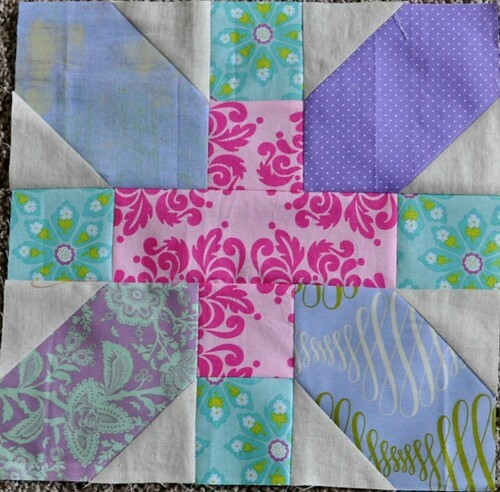 I'm going to be finishing up at least one more quilt this week, and I'll maybe do another "quilt blocks" blog post seeing as how I started a scrappy trip-along quilt this past week. My kids have no school this week so we're planning some day trips and hope to keep everyone busy and happy. Hope your February is going well!